Polyimide wafers, substrates, and precise polyimide shapes are now available from Valley Design. Ultra-thin, ground, lapped or polished pure unfilled polyimide is ideal for thin films, solar cell substrates, multilayer substrates, MEMS microstructures and packaging applications. PI - P1 - Ø2X020 0.020" 2"
PI - P1 - Ø3X020 0.020" 3"
Please call or email for a quotation to meet your requirements. 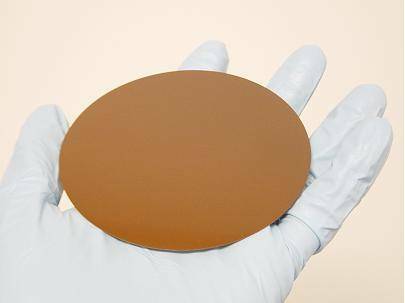 Valley Design Corp. manufactures polished polyimide wafers under license from Opticomp Networks US Patents No. 6, 563, 998 and 6, 807, 328.